Impatience is the main reason products do not work. To many people purchase a hair growth vitamin, take it for 2 week, then say they see no difference. Stop looking for quick microwave results. If you choose to invest in a hair growth supplement, you will need to purchase nothing short of a 3 months supply. If you want to achieve maximum results you will need to take the supplement for at least 6 months. Hair vitamins should be taken with food and 8 ounces of water per dosage. The water helps the vitamins absorb better into your system. Taking your vitamins with food, helps your body feel like the nutrients are coming from the food instead of a supplement. You still want to eat a well balanced meal when taking vitamins because some studies show that we only absorb about 20% of vitamins we take. So one should not purposely eat poorly just because they are using vitamin supplements. Liquid vitamins and capsules absorb the best. Do not be anxious for growth. Take measurements before you start a vitamin, then measure again in 40 days. You will first notice growth in your fingernails. After 3 weeks on a hair vitamin you will notice longer healthier fingernails. Some people experience breakouts from certain hair vitamins, but following my suggestion of a drinking 8 ounces of water with each dose should eliminate that. Keep a journal of when you start the supplements and any changes you see in your body. Hair supplements affect each person differently so keeping a journal will help you track any changes you feel, good or bad. Always consult your doctor about any supplements you plan to take. keep a journal of any changes that occur. Liquid vitamins are the best, capsules second best. Do not check for growth until the 40 day mark. Yes you can grow your hair long!!! Mineral Rich liquid vitamin order here! Now multi liquid vitamins order here! 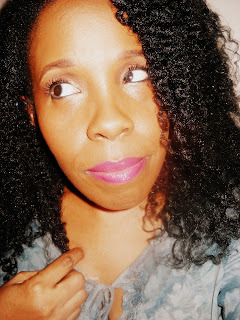 My hair growth story with Mineral Rich. Order a 3 months supply of Beauty Vites HSN vitamins. Use the discount code: coilyqueens and get %15 off total order at checkout. Click green box below! Thanks for the breakdown and clarification. This post made so much sense, because I was so confused about hair vitamins and hair growth. Great information. How does the Mineral rich liquid vitamin taste? Is it sweet or bitter? And does it come in capsule form? Ms Vee, do you know how long one bottle should last? Hello! The liquid gold beauty vites last one month per bottle. The mineral rich about 40 days per bottle.